Nelson Mandela’s granddaughter, Zoleka Mandela, has led a Long Short Walk event in Johannesburg South Africa, together with her family. Other members of the family led Long Short Walk activities around the world. Nelson Mandela’s daughter, Her Excellency Zenani Dlamini the South African Ambassador to Argentina, represented the campaign at the Iberoamerican Road Safety Summit in Buenos Aires. Kweku Mandela, grandson of Nelson Mandela led a Long Short Walk in Washington DC. The Mandela family’s Long Short Walk was carried out in memory of Zenani Mandela who was killed in a car crash aged 13. It supported the call for the post-2015 Sustainable Development Goals to include a target for combating road injury. 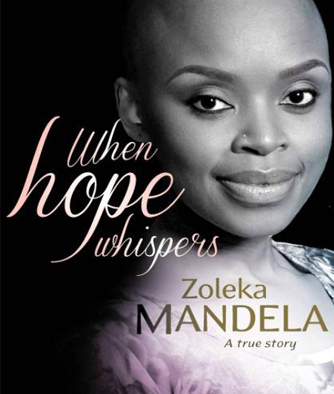 Zoleka Mandela, Zenani’s mother, had contributed to the Commission for Global Road Safety’s ‘Safe Roads for All’ report launched during UN Global Road Safety Week, and ahead of the Johannesburg Long Short Walk event. 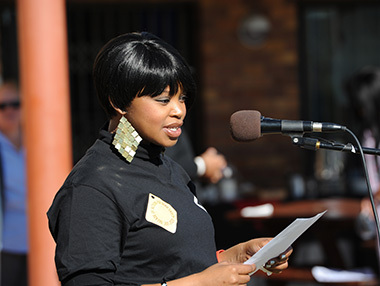 The Long Short Walk, an initiative of the Commission’s Make Roads Safe campaign and led by Zoleka Mandela and her family, is calling for road safety to be part of the post-2015 Sustainable Development Goals framework. This would include a specific global fatality reduction goal of 50% by 2030. The Mandela family’s Long Short Walk which involved over 250 people, was held at St. Stithians College, the school that Zenani attended. Joining the family were the classmates of Zenani Mandela and other pupils at St. Stithians. Children from other schools and communities joined the Johannesburg Long Short Walk. They included students from the Oprah Winfrey Leadership Academy and children from the SOS Children’s Village near Pretoria who have been campaigning with the Long Short Walk and came to support the Mandela family and St. Stithians. Her Excellency Ambassador Zenani Dlamini delivered her speech to the Iberoamerican Road Safety Summit held in Buenos Aires on the same day as the Johannesburg Long Short Walk. She said: “Today in Johannesburg my family led a ‘Long Short Walk’. Our walk was a call for action to save lives. And it was to honour the memory of the little girl who shares my name – Zenani Mandela. My beautiful niece, Zenani, was a teenager for just two days when she was killed. Her life should have just been beginning. But in a matter of seconds, it ended. “My grandfather, Nelson Mandela, has fought his entire life for human rights, freedom and equality for everyone in South Africa and the world. Now, as a result of the tragedy that befell our family three years ago, and in the name of Zenani, we have a new fight – a fight for the right of young people around the world to walk, bike, and drive safely. The Make Roads Safe report, Safe Roads for All, calls for road safety to t be recognised and included in the post-2015 Sustainable Development Goals framework. This should include a specific global fatality reduction goal of 50% by 2030, as measured from the 2007-2010 baseline data provided by World Health Organization’s Global Status Report on Road Safety 2013. This would be consistent with the current goal of the UN Decade of Action for Road Safety, to ‘stabilise and then reduce’ global road traffic fatalities by 2020. Long Short Walk campaign activities are being supported by communities, civil society organisations and members of the public around the world to call for road safety to be included in the post-2015 framework.